Static electricity is not just the annoyance that zaps your finger, makes your hair stand on end, and makes your clothes cling. It can be a killer. Static electricity is the precipitating agent in many industrial accidents caused by improper handling of liquids, powders, and bulk solids. Such products can build up electrostatic charges as they are being conveyed, filled, discharged, or otherwise put in motion. If the equipment and the bulk packaging that handles the material is not properly designed, and safety procedures like grounding are not followed, a spark caused by static electricity can ignite an explosion which could have deadly consequences. Most industrial accidents caused by static electricity occur in facilities that handle plastics, fuel, solvents, paints, and other highly flammable materials. However, food manufacturing plants are by no means immune. According to Health and Safety Executive, sugar, flour, custard powder, instant coffee, dried milk, potato powder, soup powder, and other powdered or bulk solid foods have the potential for static electricity explosions. One of the worst such accidents in modern history occurred in 2008 at the Imperial Sugar refinery near Savannah, Georgia, killing 14 people and injuring 42 more. One of the most important factors in static electricity explosions is the conductivity of equipment and packaging. Materials with low conductivity (i.e., high electrical resistance) constitute a greater danger, because they allow the buildup of electrons on their surfaces, raising the potential of sparking. The risk of explosion rises with finely ground product, and when flammable materials like edible oils, solvents, or cleaning chemicals are used close to potential sources of electrostatic sparks. 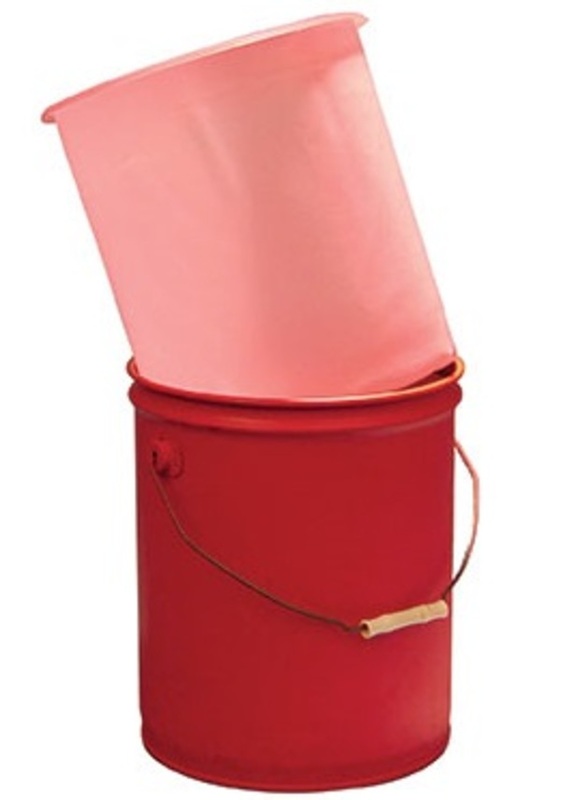 Food plants often use plastic liners with steel drums and pails for improved sanitation and evacuation efficiency. Unfortunately, plastic is an inherently non-conductive material, which, as noted above, raises the risk of sparking. However, specially treated plastic can greatly reduce that risk. CDF Corp. offers antistatic drum and pail liners that dissipate electrostatic charges before they can build up and cause sparking. Anti-stat liners have benefits beyond reducing the risk of sparks. They reduce clinging dust for improved sanitation and appearance; they provide protection against drum and pail corrosion; and they protect drums and pails for longer life. To learn more about all the anti-stat products offered by CDF, contact us for a free sample and download our corporate brochure today.